The Association des chasseurs et pêcheurs de Sainte-Anne-de-Sorel was founded 42 years ago, in 1971. Its first president was Roger Salvail. 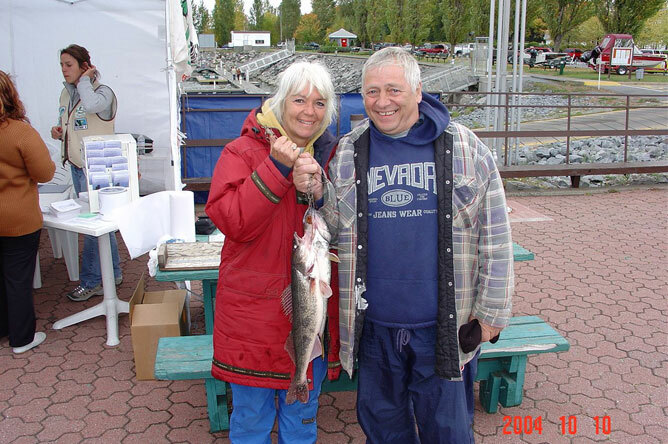 Most of its members are local hunters and fishers from the Sainte-Anne-de-Sorel region, but its membership also includes people from further afield who have cabins in the Lake Saint-Pierre archipelago. Photograph showing the members of the board of directors in 2004: Alain Côté, President (seated); Gilles Marcotte, Vice-President (wearing a cap); Suzanne Péloquin, Treasurer (in a light blue sweater); Carole Descheneaux, Secretary (with crossed arms); Alain Rocheleau, Director (in black pants); Olivier Roy, Director (with a beard); Réjean Valois, Director (with a yellow paper in his shirt pocket); Gracia Leroux, Director (in a white turtleneck) and Pierre Descheneaux, Director (in a red shirt). 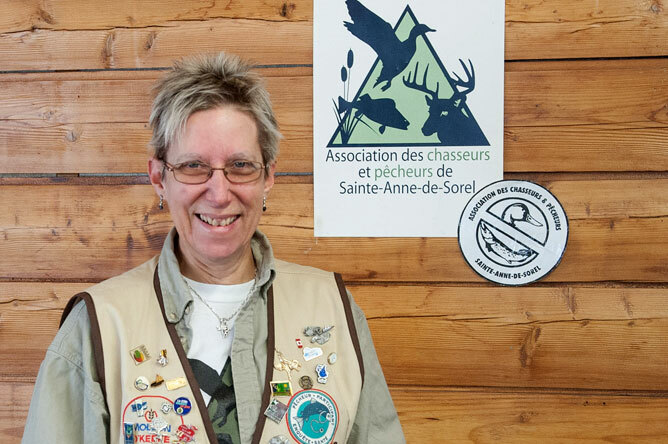 Carole Deschenaux has been President of the Association des chasseurs et pêcheurs de Sainte-Anne-de-Sorel since 2008. 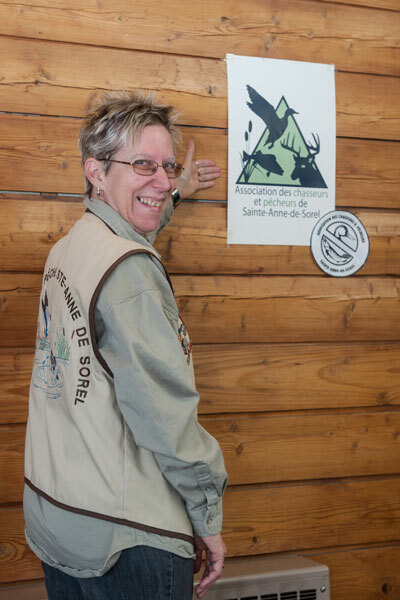 Here she displays the new logo created by graphic design students from the Sorel-Tracy region in 2006 and adopted by the Association in 2007. The new logo is a green triangle superimposed with silhouettes: cattails, a fish, a duck and a deer's head. The old logo was a bisected circle, with a duck's head in the upper half and a fish in the lower half. Carole Descheneaux explains that the Association promotes eco-responsible hunting and fishing. The Association protects the natural and cultural heritage of the region by working with other organizations, such as the Lake Saint-Pierre Area of Prime Concern (ZIP) Committee, on wildlife management projects. It also organizes various activities to raise awareness of hunting, fishing and the environment. Some members of the Association have participated in research on mercury pollution led by biologist Hélène Godmaire, Canada Research Chair in Environment at Université du Québec à Montréal, and the Association has collaborated with her on a very useful guide for fishermen that discusses practical and environmental topics related to fishing. The Association is able to offer hunting and fishing courses to youth thanks to a bursary from Héritage faune, the official foundation of the Fédération québécoise des chasseurs et pêcheurs. 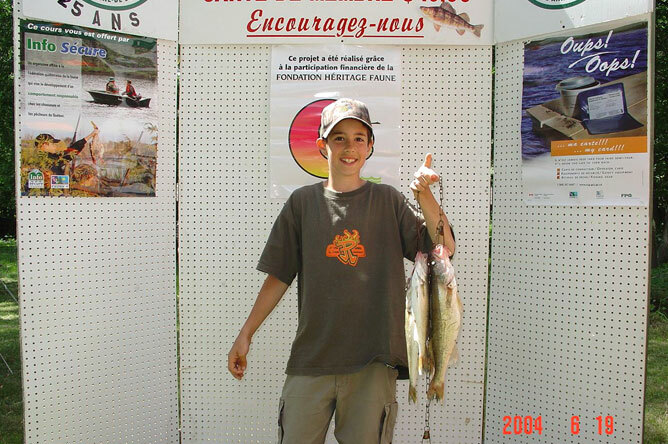 The Association holds youth tournaments, with a variety of prizes for participants: sweaters, fishing equipment and two trips to the Pourvoirie du Domaine Bazinet outfitting operation in Lanaudière. Éric Lavallée proudly displays the fine Walleyes he caught during the tournament. Memories of this fun day will encourage him to continue practising this sport throughout his life. Because his mother sits on the board of directors of the Association, he was introduced to fishing at a very young age. He now does volunteer work during various activities offered by the Association. 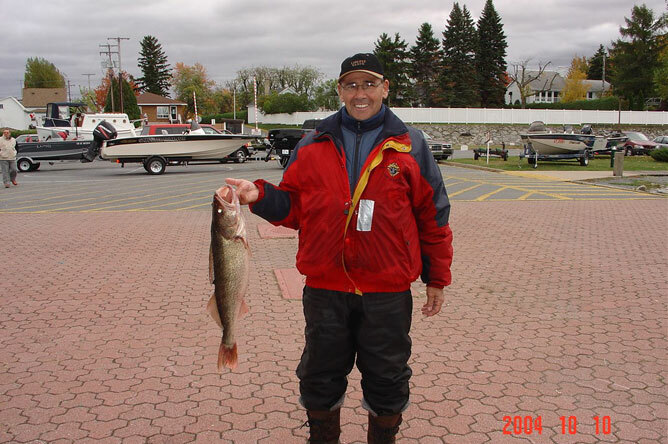 Walleye fishing tournaments are organized each October. 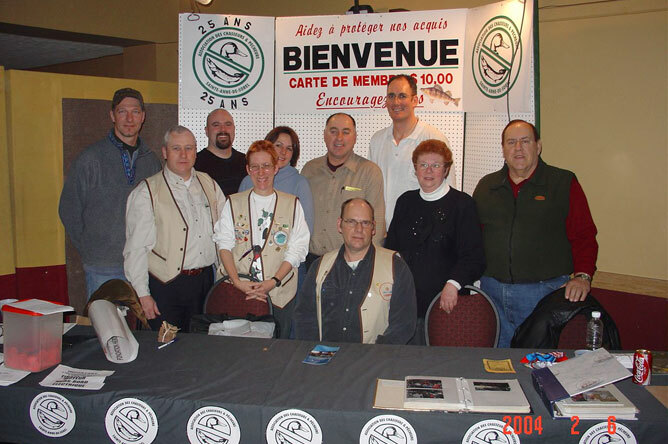 The Association des chasseurs et pêcheurs de Sainte-Anne-de-Sorel organizes activities all year round, which are greatly appreciated by the public.